Ferrari’s President Sergio Marchionne and team principal Maurizio Arrivabene hailed the team’s performance during the Australian Grand Prix which kicked off the 2018 Formula One World Championship. Ferrari opted for a new approach for the design of its new car, the SF71-H. The car with aggressively sculpted sidepods features a list of departures from the aerodynamic paths of its predecessor. The team still needs to get to know and fully understand the new concept out on track, but it managed to clinch a one-three finish in the season-opening race in Melbourne. 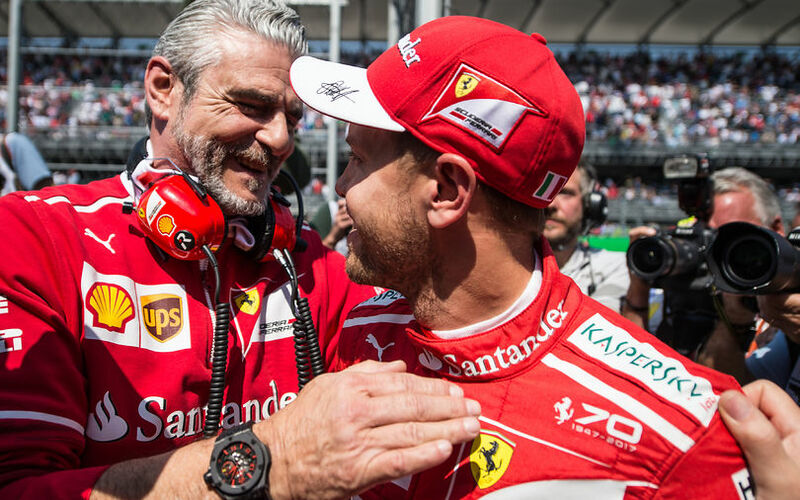 Team principal Maurizio Arrivabene was happy with the haul of points his drivers Vettel and Räikkönen collected in the race in a period when the car is in a far from perfect state. Both Marchionne and Arrivabene agreed that the team has a mammoth list of tasks if it intends to claw back the performance deficit to the field-leading Mercedes. “Of course there’s still a long way to go in the series, with 20 more Grands Prix. So it would be wrong to celebrate too much. We know that we still have a lot of work ahead of us, but the first step has been taken in the right direction," Marchionne added. “There is still a long way to go this season, but today we can be happy, knowing that each and everyone of us has done their very best, according to his role, to achieve this result. Now we will start to prepare for the next race, aware there is plenty to do; work which we will tackle with humility and determination,” Arrivabene concluded.